Hello, Sophie! Welcome back to Watch. Connect. Read! I am so happy for you and Hello Lighthouse. 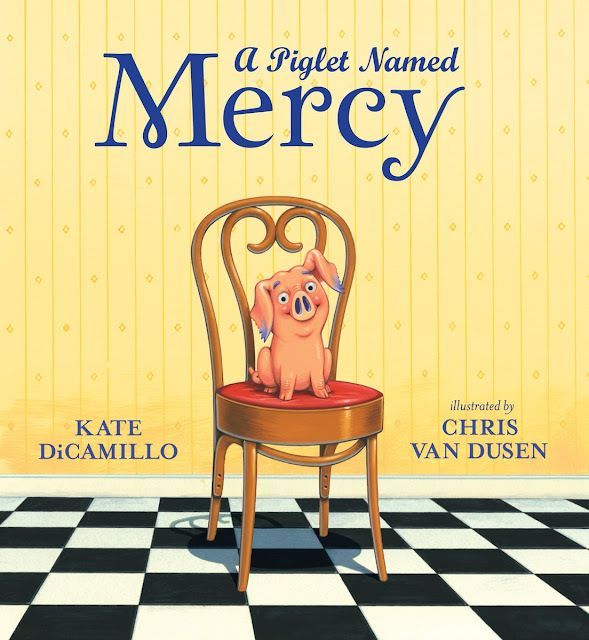 Congratulations on winning the 2019 Caldecott Medal! As you know, I love hearing about THE CALL. What ran through your head when the phone rang? What were you thinking about when the Caldecott committee was clapping and cheering for you? Sophie Blackall: I had just finished a wonderful visit to the Singapore American School. My father, who traveled in Myanmar in 1962 was retracing his steps there, and I came over to join him and my step-mother for a glimpse of that complicated, beautiful, joyful and sorrow-filled country. Even on the other side of the world, I knew the American Library Association was gathering and the awards would soon be called. I sent good wishes to many friends who had made beautiful, important books this past year hoping they would be recognized, remembering my own sleepless night three years ago. Then my father, step-mother and I sat down to a delicious dinner of fermented tea-leaf salad and banana-flower fritters in a Yangon street café. I felt very far away and dreamy. When my phone rang, it startled me like an alarm clock. I stepped out onto the street where a local policeman watched me weep and laugh and thank a faraway gathering of wonderful librarians. My father followed me outside and put two and two together, and he wept and laughed too, and the policeman laughed at us, and with us. And we all smiled and nodded at each other and said, “Mingalaba!” over and over, which is the only word I know in Burmese. It means ‘hello’ and ‘goodbye’ and ‘auspiciousness to you’ and is the most useful word on the planet at a time like this. What does the Caldecott Medal for Hello Lighthouse mean to you? Sophie Blackall: It means that fifteen esteemed librarians devoted their year to studying and discussing and poring over picture books — and what a year for picture books! — and through some unknowable, but undoubtedly difficult process, decided to give Hello Lighthouse this extraordinary honor. I am happily imagining they looked at the book a way a child does, over and over again, seeing new things each time in my ode to a family’s life in service — the emergence of large themes of loneliness and reunion, birth and growth, loss and hope, change and renewal, and the details of a mother in labor, the workings of a lighthouse, the dependence on a supply ship, the vagaries of the sea. And so I humbly accept this enormous second bowl of ice cream, and am beyond grateful. Picture books are stories told with illustrations and sometimes words, printed on paper, folded and gathered, sewn and bound. 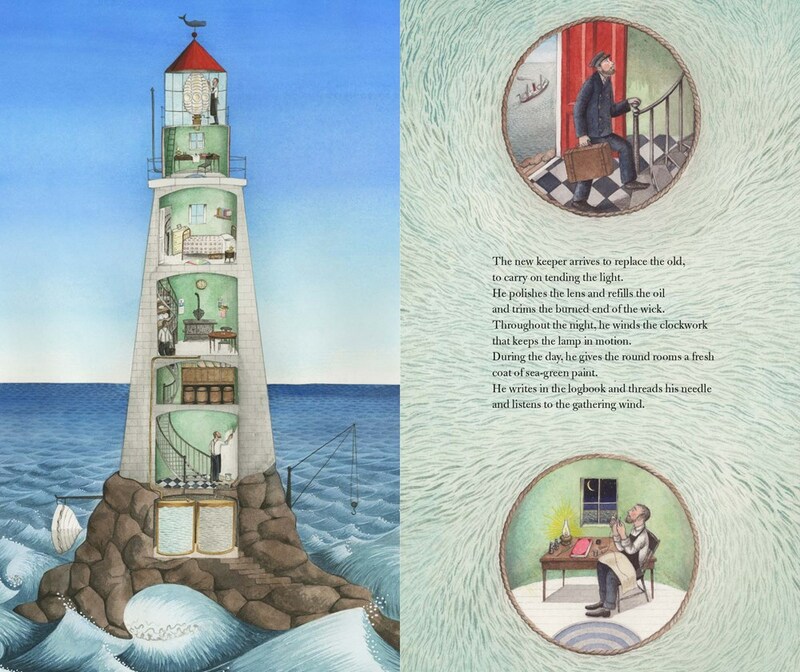 Whether we read them on our own, with an auditorium of school kids or with toddlers on our laps, picture books can take us to the moon or to Omu’s house or to the middle of the sea; can help us understand life and death, and who we are. School libraries hold books that will change our lives and librarians to help us find them. 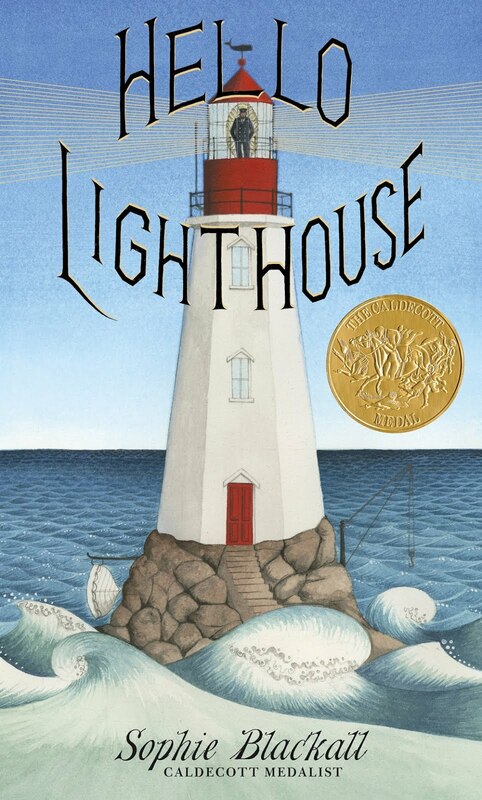 Borrow Hello Lighthouse from your school or public library. Whenever possible, please support independent bookshops.